If you are Serious About Blogging Then you Need to Know about the importance of Fastest Loading And Ultra SEO-Friendly WordPress Theme. Are You Looking For a WordPress theme which Will Helps You to Rank Higher In Search Engine Because Nowadays If your Theme Doesn’t SEO Optimized Or Snippets Rich Then Forget About That’s You are Ranking in Search Engines? As A Digital Marketer And WordPress Geek, I have Experience With All the Popular WordPress Themes. because I Recommended my Clients Based on their Requirement and They are happy Experience With Their Website Or Blogs. So Now Today We Are Discuss About Schema Theme Because of Its My Favourite Lightweight, SEO Friendly And 100% Responsive. Schema MythemeShop Theme Review Video Tutorial! If You Are New To Blogging Then Always Choose The Right Theme For your Blog. Because Theme Helps To Rank In First. As A Coder Or WordPress Bug Fixer, I know The Importance Of well-Coded Themes. Schema Theme Will Helps To Rank Higher In Google Because if you wanna Rank your website Your Theme Have All The Following Things And Features. All the Above things Are Important For ranking In Google First. Also, Take A Look At Bottom Video Tutorial If you Want to Know More About In Details About Schema Theme. If you Are Watched Above Video Then You Know All About The Schema Theme. But Let Me Introduced This Awesome Theme with My Own Words And Experience. 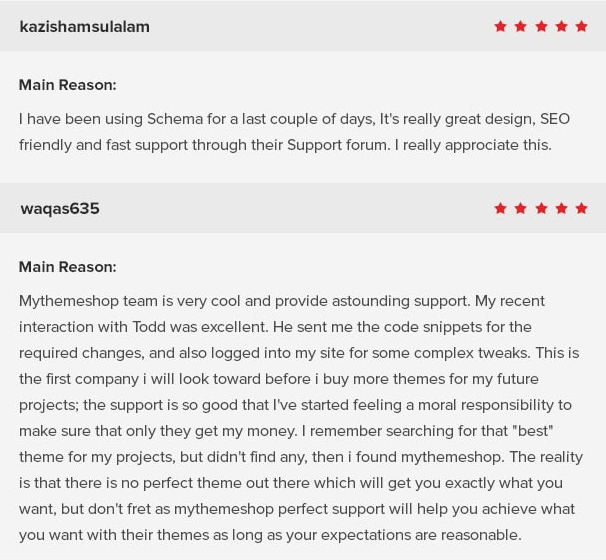 Schema Is One Of The Best Selling Theme On Mythemeshop With Five Start Rating. 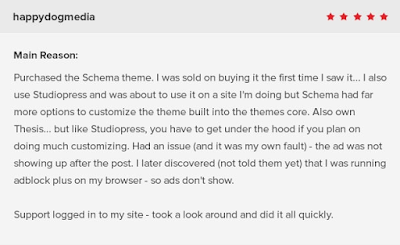 Every Single User Who used Schema Theme On his/her Blog They are Fully Satisfied With Their Blogging Experience With This Theme. Schema Is Fastest Loading, SEO Friendly, Pixel Perfect design, Fully Responsive and Adsense Ads Ready WordPress theme. Schema Theme Also Comes with Rich Snippets Which Helps to rank Higher In Google If you are Building A Review Website. If you are Blogger Then you Already Know The Important Of On-Site SEO. Google Consider Loading Time As A Ranking Factor So if your Website Not Open Faster Then You are In Trouble because if your Competitor website Load faster Then you Then you ranking Down And Your Competitors Outrank you. Take A Look at Loading Loading And Score Of Schema Theme. 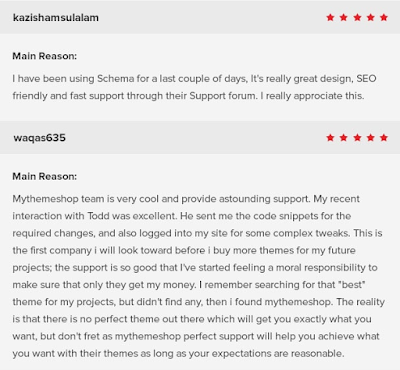 Schema Theme Is Built In Review System Which Helps you Writing Reviews Articles With Install any Other plugin. Comes With Pre-Configured Rich Snippets System. Theme Built-In Handwritten SEO Friendly Coding with keeping Mind All About the SEO Practice. Schema theme Also Comes with Great Feature which Helps To Place Ads On your website on Right Places For More Clicks. So If your Theme is Adsense Ads Optimized or Ads Ready Then You Get more Click From Visitors and More Money in your Pocket. You Don’t Need To install Any Third party Plugin To put Ads On Your Blog. So With Schema Theme placing Adsense ads Is Very Easy and Child Task. 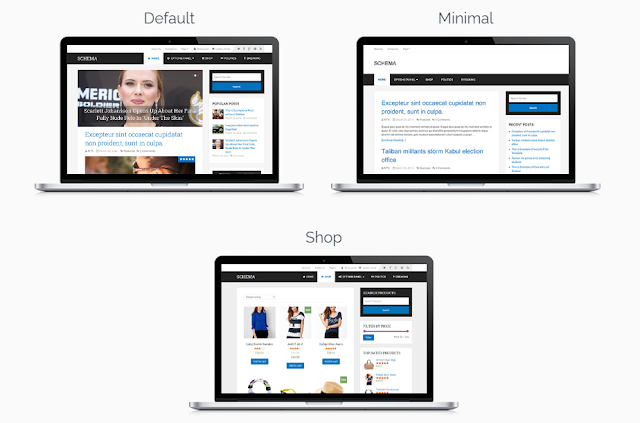 Themes Come With Three Demos Layout Choose Anyone is Suitable for your Blogging website. So You Can Make Any Type Of Niche Website With This Theme. Here Is The List of Following Niches and Make Any Type of Blog. 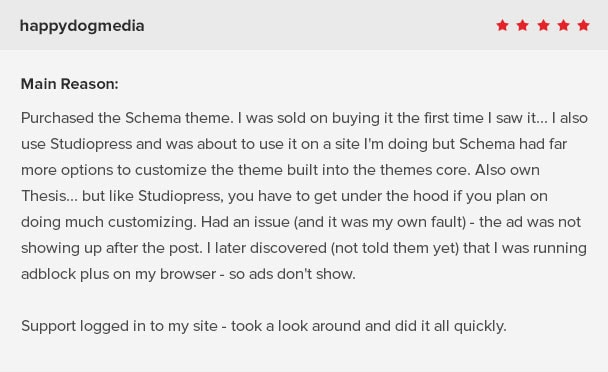 Here Are Some Following Features That’s Will Helps To know That How much Schema Theme Worth. Fastest Loading WordPress theme Which Saves your Money and You Don’t Need to Pay Any Developer or Speedup Optimizer to Speedup your website. SEO Coding Friendly Don’t Need to Pay Any SEO Experts to SEO Markup Your Website. Helps To rank In Higher Based On Speed, On-Site SEO Friendly, Schema Rich, and Built-In Review System. 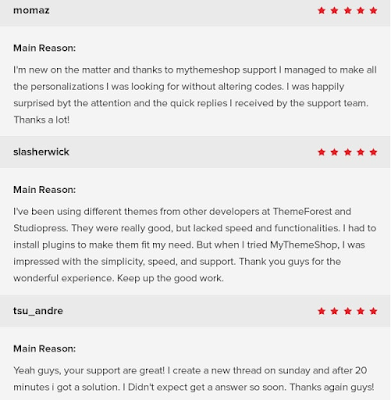 Look At The Reviews Of Every Single User Who used Schema Theme. 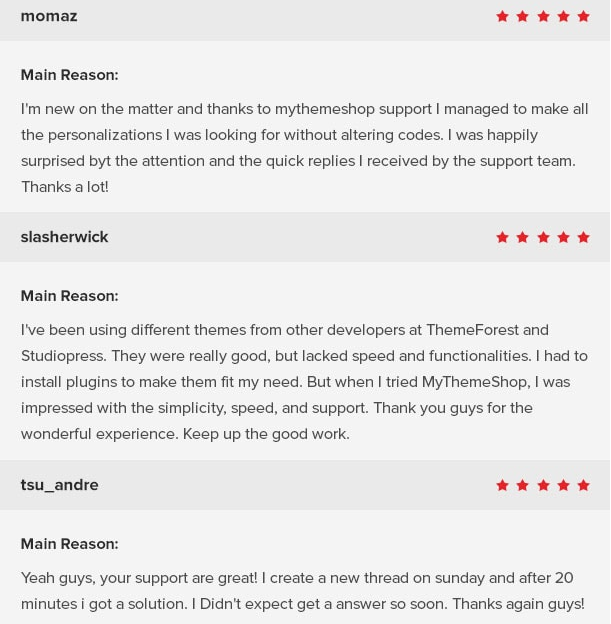 Every Single Customer Who used Schema Happy And Satisfied with This Great Theme. Take A Look At All The review you Know All About. Buy Schema Theme From Mythemeshop and After Buy You Get all the Important Things Which will Help you to Setup This Theme without Any Hassle. All The Following Things. Support & Updates for One Year? If you Don’t Have Budget to Buy This Premium Theme Then You can Also Use Its Lite Version which is free To use Take A Look To Schema Lite Version. At the End of this Post If you are Looking For SEO Friendly, Fastest Loading, Rich Snippets, Responsive and Built-In Review System theme. Then I Highly Recommended To Buy It. Schema Is Popular For SEO Fastest loading Theme. I know There are Many Others Themes which are Fastest loading But I check All of them And In My Experience, This Theme Beat All of them Based On Speedup Test and SEO Friendly Point Of View. I Write This Article based On my Experience if you Have Your Own Experience with This Theme or Any other Theme Which Is Better Then Schema So Let’s comment And Let Me Know.